Born on March 22, 1986 and now residing in DeBary, Florida, Mark's racing career started in the later part of 1996 driving go-karts on local dirt track ovals. He quickly began winning races, which led to a Championship in 1996 and another in 1997. In 1998 he joined the WKA (World Karting Association) and the FKA (Florida Karting Association) where he competed in his first Florida State Divisional Series. Mark qualified on the pole and won the first race. Eleven races later with 6 more wins and 5 top 5 finishes, Mark won two FKA Dirt Championships. He knew then that he wanted to become a professional racecar driver. In 1999 he bought his first enduro laydown kart, took it to Roebling Road in Savannah, Georgia and won his first asphalt road course race. Mark continued racing that year on both dirt and asphalt winning two more Championships, one on dirt and one on asphalt. 2000 and 2001 were also rewarding years; winning four National Road Racing Championships, six Regional Road Racing Championships and two more Championships on the dirt. In 2002 Mark designed and built his own enduro laydown kart making several engineering and aerodynamic changes from the other kart. He won two more National Road Racing Championships that year and three Regional Road Racing Championships. Mark ended his junior years being undefeated as a Junior National Road Racing Champion. 2003 was no different for Mark other than he was now a senior, racing against more experience and age. Again Mark won two more National Road Racing Championships and five Regional Road Racing Championships. Starting off the 2004 racing season, Mark was invited to participate in the Skip Barber Karting Scholarship run-offs using RT 2000 Formula Dodge racecars to compete in the 2004 Skip Barber Formula Dodge National Championship Series. This was a dream come true, racing in equally prepared racecars. Mark was selected as one of thirty-five competitors trying to win one of six scholarships. He was successful in winning one of the scholarships and went on to compete in the National series. For the first time in several years, he was the Rookie competing against experience and seat time. Having never raced in a racecar would be a huge transition and Mark knew that he would need time to become accustomed to the formula racecar. His goals were to simply gain valuable seat time and finish in the top fifteen in points. In just seven race weekends, Mark gained the experience and seat time necessary to become competitive, qualifying three times in the top five, having the fastest race lap time on one of the race circuits, a podium finish in the last race of the series, and a ninth place finish in the final points standings. Mark finished off the year by competing at a Skip Barber Regional event in December and was successful again with a podium finish. In early 2005, Mark began testing with Jensen Motorsport in a Formula BMW racecar. Mark was faster than every other driver in the car, with the exception of one driver who equaled his best time. Unable to obtain sponsorship to compete in the Formula Series, Mark once again would build his own racecar. This time it would be a Ford Focus Midget. In the later part of 2005, Mark finished his car and competed in his first USAC Ford Focus Midget race. Mark was the rookie once again. In early 2006 Mark competed in three USAC Ford Focus Midget races in Florida, winning one heat race and finishing 6th, 4th, and 3rd. 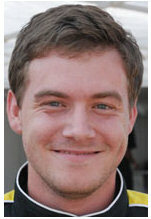 In April 2006, Rookie Mark joined the USAC Carolina/Virginia Series where he competed full time. Mark's driving ability and natural talent soon had him winning races. His competitors knew this young Rookie was a threat to win each and every race. Mark finished the series second in points with an outstanding race record of 2 wins, 9 top 5's and never finishing outside the top 10. 2007 was another great USAC year for Mark with 3 wins, 5 top 5 finishes and again never finishing outside the top 10. Mark is full of enthusiasm, has natural talent, and is always a contender to win, regardless of what he is racing. He is attending university working towards an engineering degree with aspirations of becoming a professional racecar driver. Mark plans to race in 2008 in both Florida and North Carolina when he can schedule the racing around his classes. Mark is also seeking sponsorship to assist with his racing goals. If you would like information on sponsoring Mark, please visit our Contact page.